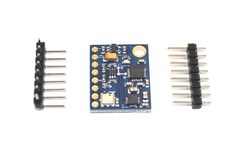 The ADXL345 is a small, thin, low -power three-axis accelerometer, can be high Up to ± 16 g acceleration with high resolution (13) measurements. 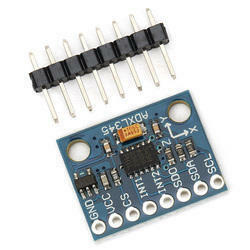 Digital Outputs According to 16-bit two's complement format, Or I2C digital interface can be accessed through the SPI (3 -wire or 4-wire) .ADXL345 is well suited for mobile device applications. 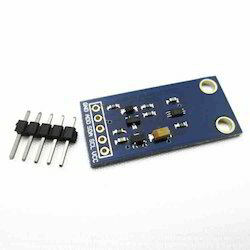 It can tilt sensing applications measuring the static acceleration of gravity, you can also measure the dynamic increase resulting from motion or shock Speed. 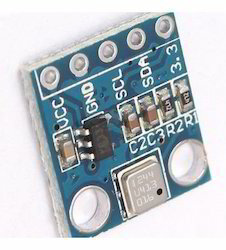 It has a high resolution (4 mg / LSB), capable of measuring the tilt of about 0.25 °Angle change. 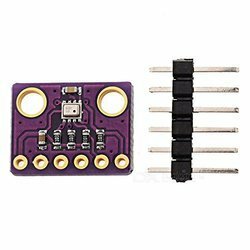 Use the accelerometer ADXL345 digital output, etc., without the need for Analog to digital conversion, thus saving system cost and board area. 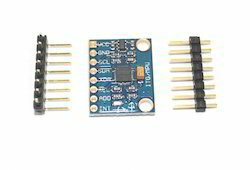 In addition, The ADXL345 is a small, thin, ultra-low -power 3-axis accelerometer, resolution High (13) , measuring range up to ± 16g. 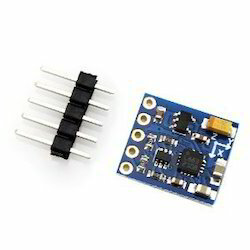 The digital output data is 16 -bit binary Complement format, or I2C digital interface can be accessed through the SPI (3 -wire or 4-wire).ADXL345 is well suited for mobile device applications. It can tilt sensing applications measuring the static acceleration of gravity, can also measure the impact caused by movement or Action State acceleration. 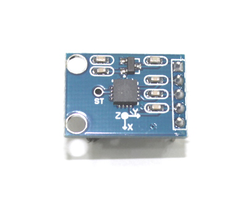 Its high resolution (3.9mg/LSB), capable of measuring less than 1.0 ° the inclination angle. Looking for GY Series Modules ?